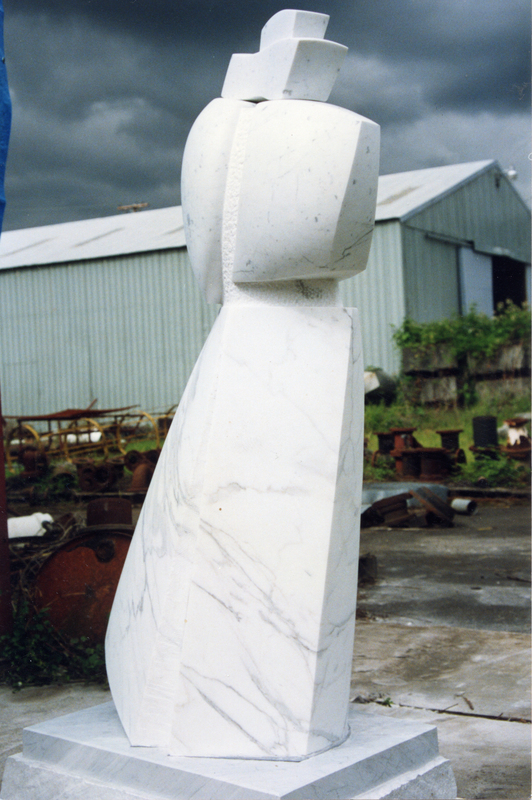 Description ""The Guardian"" - Ted Shillock created this sculpture from 3 different blocks of marble. The title of the artwork refers to a guardian or protector of knowledge, feelings, and ideas. Installed in front of the library at 706 Fourth St. in 1996. Physical Description H 6"" x W 4""